For those who don't know, Chip Tate is no longer the master distiller at Balcones. Let me tell you a story about him. Chip Tate had a vision that Texas could produce world class whiskey. To that end he built a distillery from the ground up using small stills made by hand. His whiskey soon began piling up awards and was even scarce in Texas. To meet demand Chip needed investors to expand his business. He got them but he wasn't willing to sacrifice quality for profit. There was a meeting and Chip threatened to burn down the distillery and shoot an investor before he'd sell an inferior product. 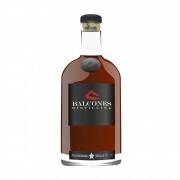 Chip Tate is no longer master distiller at Balcones. I am lucky enough to have several bottles of Chip Tate originals, including two bottles of True Blue 100. Nose: Classic Balcones bananas foster. Powdered sugar, caramel, and charred bananas. Sweet and delicious. The nose has a thickness, so much so that you could chew on it. Taste: Blue corn makes for a remarkable flavor. It is hard to describe something so unique. Brine, grilled corn, cotton candy dominate. Beneath is a depth uncharacteristic of such a young whiskey. The banana is faint. Instead there is a pleasing cherry, orange, and coffee flavor. If you've ever had cafe Diablo the flavors are similar, while overlaid with smooth bourbon notes. Finish: Coffee and wood roll down the back of my tongue and build with every sip. A luxurious snowball rolling down a hill, gaining momentum until the flavors transport themselves back into taste. You swallow and the whiskey reappears like a gushing spring. The effect is slightly drying and yet sticky syrup remains in the mid palate. Final Thoughts: Chip Tate is undoubtedly one of the best distillers in the world. One can only hope that the new distiller Jim Himstedt can continue to produce the same quality product. Balcones True Blue Kettle corn and fudge: Red whiteand..
Balcones True Blue Texas Goes Down Under Again!!! Fantastic review !!! The only thing lacking is a taste of this remarkable whiskey. Save me a sip. We'll be having a cask strength blue corn bourbon (64%) at the summit. It is a Jim Himstedt bottle. 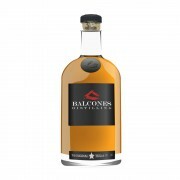 I have not tried any Balcones since he replaced Chip. Really hope he can fill Chip's shoes. The way I understand it is that Himstedt was a distiller at Balcones since the company's inception. Yes Himstedt has been there with Chip since the beginning, but it was always Chip Tate's signature on the back of the bottles. It wasn't until late 2014 when Tate was officially outed from Balcones. Given their aging techniques I think all products from now going forward will have the full contribution of Himstedt. It will be interesting to see if there are any changes to the profile. @newreverie , so is there a signature on the back label you can check to tell whether a given bottle is from the Chip Tate Era ? The bottles from balcones have either chip Tate, Jim hemstedt, or no signature. The no signature bottles are from the transition period between chip and jim. @newreverie, it is good to see that you have not been swept out to sea in the deluge! @newreverie, you are absolutely correct. @Victor its been pretty crazy around these parts. Whisky helps. I think I'll have done TB100 tonight.